Oliver Wendell Holmes escaped death by a fraction of an inch at the Battle of Ball’s Bluff and Antietam. Thereafter he lived with unwavering moral courage, unremitting scorn for dogmas, and insatiable intellectual curiosity. 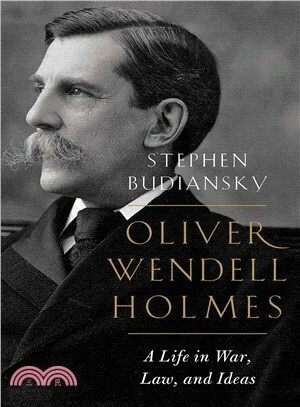 As a pioneering legal scholar, Holmes revolutionized the understanding of common law by showing how it always evolved to meet the changing needs of society.Named to the Supreme Court by Theodore Roosevelt at age 61, he served for nearly three decades, writing a series of famous, eloquent, and often dissenting opinions that would prove prophetic in securing freedom of speech, protecting the rights of criminal defendants, and putting an end to the Court’s reactionary resistance to social and economic reforms.Based on previously unpublished letters and records, Oliver Wendell Holmes offers the fullest portrait yet of this pivotal American figure, whose zest for life, wit, and intellect left both a profound legacy in law and Constitutional rights, and an inspiring example of how to lead a meaningful life.